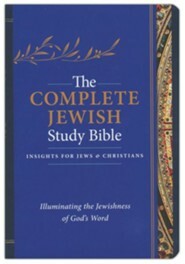 The Complete Jewish Study Bible pairs the newly updated text of the best-selling Complete Jewish Bible with detailed notes and comprehensive study material to help both Jewish and Christian readers understand and connect with the essence of their faith--God's redemptive plan for his people. 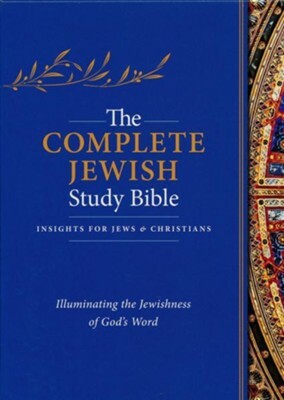 Readers will be enriched through this Jewish reading of Scripture and the revelation of the long-awaited Messiah, Yeshua, throughout both the Tanakh (Old Testament) and the B'rit Hadashah (New Testament). 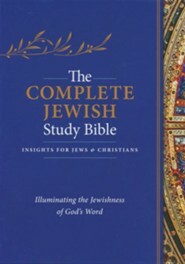 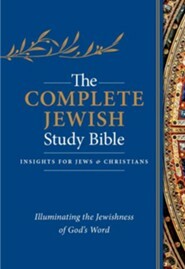 Unique to The Complete Jewish Study Bible are a number of helpful articles and notes to aid the reader in understanding the Jewish context for the Scriptures. 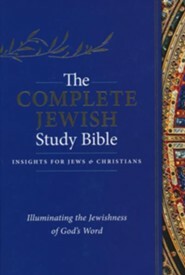 The addition of a thumb-index in these versions will enable readers to easily find books in the Tanakh, which are in the order of the Hebrew Bible. I'm the author/artist and I want to review The Complete Jewish Study Bible, Genuine Calfskin Leather Black, Thumb Indexed.